Though that mantra has been repeated countless times over the years, it is not accompanied by a definitive cited source (because of course there isn’t one) and its claim is erroneously presented as being contested only by the government of Israel. In other words, the BBC’s standard formulation egregiously ignores the existence of legal opinions which contradict its own adopted narrative. Those legal opinions include that of Professor Julius Stone as laid out in his book “Israel and Palestine: Assault on the Law of Nations“, extracts from which can be read here. On the subject of the Fourth Geneva Convention – which is usually the basis for claims that Israeli communities in areas formerly occupied by Jordan are “illegal” – Professor Stone wrote the following. It is clear that in the drafting history, Article 49 as a whole was directed against the heinous practice of the Nazi regime during the Nazi occupation of Europe in World War II, of forcibly transporting populations of which it wished to rid itself, into or out of occupied territories for the purpose of liquidating them with minimum disturbance of its metropolitan territory, or to provide slave labour or for other inhumane purposes. The genocidal objectives, of which Article 49 was concerned to prevent future repetitions against other peoples, were in part conceived by the Nazi authorities as a means of ridding their Nazi occupant’s metropolitan territory of Jews – of making it, in Nazi terms, judenrein. Such practices were, of course, prominent among the offences tried by war crimes tribunals after World War II. (2) inhuman treatment of its own population. Additional legal opinions disappeared from audience view by the BBC include that of former Chief Justice of the International Court of Justice Professor Stephen Schwebel, former Harvard Law School visiting scholar Jeffrey Helmreich, former US Under-Secretary of State Euguene W. Rostow and numerous others. 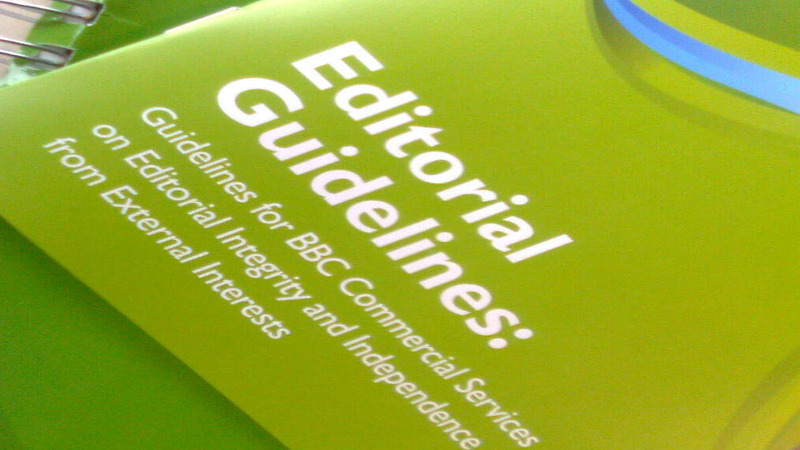 Whilst the BBC clearly does not have to agree with – or like – any of the above opinions or the many similar others, it does have the obligation under its editorial guidelines on accuracy and impartiality to inform its audiences of their existence. Currently, it fails to meet that obligation. We all know full well that this is not true. all on illegally occupied land in the West Bank. It is therefore is acting illegally under international law. If Israel removed the IDF security from these settlements, the inhabitants would soon move back ‘home’ to inside Israel’s pre-67 borders. We all know this, so the BBC is correct in what it says. @Illegal Assistance Under International Law: We all know? The construction of roads and the zoning and service-provisioning of housing is a legal obligation of any occupation regime. Jews who move to the Judea and Samaria are not transferred by the government. They “transfer” themselves. Whether or not they facilitate it is irrelevant. They don’t organize it, so it isn’t transfer (which actually means forcible transfer anyway). Firstly, it’s good that you recognised it as an occupying regime. Occupying what? Palestine. Legally? No. Secondly, the roads provided are for ‘Jews only’. Hardly fair when it’s not benefiting the residents of the land you’re occupying. And finally, you are incorrect – legal, logistical, construction, financial, security and health assistance all count as ‘state sponsored activity’ and come under the terms of the convention – this is a state encouraged activity, pure and simple. Otherwise states could disavow knowledge of what their armies did and pretend that those evicting natives through force, or moving civilians onto occupied land, were acting alone. Exactly the same reason that territorial acquisition by war is not allowed. It is to prevent this type of ‘nothing to do with me Guv’ excuse, and hence illegal. They do not fall under the terms of the convention. You are thinking of the Rome statute, which Israel is not a signatory to. It adds the key terms “directly or indirectly”. Moreover, I don’t recognize that Israel is occupying anything. I am speaking in the case that it were. not a source in sight, eh!? Mistake 1: Israel did initially sign the statute, but later declared its intention not to ratify it. A further June 2004 Israeli Supreme Court ruling concerning the West Bank stated that “the point of departure of all parties – which is also our point of departure – is that Israel holds the Area in belligerent occupation (occupatio bellica)” and that the military commander’s authority is “anchored in IV Geneva Convention Relative to the Protection of Civilian Persons in Time of War 1949”. I have plenty of sources. Nicholas Rostow, Eugene Rostow, Eugene Kontorovich, Alan Baker, and tons of other scholars of international law have written about this. I can link you the articles if you want. Also, most settlements pay for private security. The IDF only dispatches in emergencies. I entirely agree. Dr Stone’s arguments are plainly intended to obscure the plain illegality of Israel’s occupation of much of the West Bank. How else can it be seen…..an errand of mercy providing 26 foot walls for the saviours? Israel’s obvious territorial ambitions cannot be obscured by absurd rhetoric about refusing assent to Jew-free zones! The races involved are irrelevant: the shameless expansionism is not whether it was conducted by Israeli Jews, Christians or atheists. And Dr Stone surely knows it. How is the occupation illegal, other than by noting that it is not an occupation, since the Palestinians are not a high contracting party to the Geneva conventions. A people’s right to self-determination is inalienable – you can’t pretend it isn’t because they weren’t once a state. Does that mean, by the same logic, that those in Israel only started to matter once they ‘became a State’? That before 1948, that very date they declared Independence , that none of those people mattered? that they had no rights? Of course not. The whole UN Charter, which all states have agreed to, even Israel, is that the right to self determination is fundamental. And so it is also for the Palestinian people too. oh dear...when will you lot get it? They have the right to form a state, is what it means. Pure and simple. That is certainly not true. Self determination does not mean a right to secede. It means limited autonomy. Do people living under dictatorships have self determination? It is a very slippery term. States have a right to territorial integrity. I found this site 3 days ago, and I’m curious: this site has an agenda, but to what end? ….and I second that thought; What is the desired end game to all those bashing the BBC? It’s clearly not about journalistic accuracy, as this site is guilty of some egregious fact manipulation of its own (as the ‘trolls’ regularly point out, and I’ve followed ALL links from both sides), so what really is the point of it all? What is it that, in an ideal world, the BBC would report daily about the MiddleEast, and to what end? How would it be beneficial to those who created this site (ardent pro-Zionists, it appears from comments and posts) and what is the message they want to see communicated? I’d like to know more about this, as its important to always ask ‘what next?’ For example, in 20 years time, demographically speaking alone, there will be many more Arabs in the area – arguably more than Israelis. Then what? They say tomorrow never comes, but it does for others, so what will it look like for them, in say 2034? My desired endgame is the mass expulsion (voluntary or forcible) of all of the Palestinian Arabs because they are psychotic, bloodthirsty, and because they live on a strategically vital area of land for Israel’s defense. They gave up their rights to a state in the West Bank when theg rejected the Camp David accord and started a 5 year terror war. Basically, the West Bank Arabs are much like the Sudeten Germans, but much more violent. Nice. I think you need to be sectioned under the mental health act. And let nowhere near a keyboard again. How am I a bigot? Look at the polls. Like half of all Palestinian Arabs support suicide bombing. Moreover, how can you seriously deny that they are similar to the Sudeten germans? Hitler encouraged a Sudeten separatist movement in order to secure Czechoslovakia’s natural defenses, after which he quickly invaded the rest of the country. If you look at the topography, the West bank overlooks all of Israel. The Palestinians are totally irredentist, and Israel giving up the territory would invite another war. Israel should expel the Arabs in the West Bank instead of committing national suicide. Your ad hominem attack on me is in lieu of actual analysis. you’re the past, not the future.thankfully! What? I am 24 years old, and I said nothing racist. I just see population transfer as the only possible solution where neither side gets genocided. Ethnic cleansing is clearly superior to genocide, no? Ethnic cleansing is not a ‘clean’ option. Why would you propose it? You are just anther one of resolution242’s sockpuppets. If you are a teacher I’m an astronaut and if your name is Phil mine is Algernon. A barrage yes, but where are the sources? I’ll source anything you feel isn’t adequately sourced: just ask for it and it will be done. Let’s start with your most recent claim that the Irgun bombed more than one hotel. So, no source, just another lie, sockpuppeteering and Jew baiting. I’ll try to answer your questions Phil. The purpose of the site, as it states at the top of the page, is to monitor the BBC in its reporting about Israel for accuracy and impartiality, and for the most part, recording a consistent failure to achieve, or even attempt that. I will answer another of your questions with a question. At the present rate of demographic growth here in the West, sometime in the future there will be a majority of Muslims, the majority of whom will want Sharia Law. So if the West remains democratic, it will ensure the end of democracy. So what do you think has to happen to preserve the whole point of democracy? The point of Israel is to be a Jewish state – a safe land (relatively) where Jews can live without the fear of what happened in countries like Germany, Russia, etc. If the national broadcaster of a supposed free and democratic nation is purposefully twisting and concealing the truth to advance a particular insidious agenda, what do you imagine the ‘end game’ is? Do you really need somebody to explain it to you, or perhaps you need to ask yourself, if you’re from this society, what do you think YOU should be doing about it? The BBC has a charter, which it’s supposed to adhere to, and the public are forced to pay for it. As it is, it’s twisted presentation on a whole range of issues, not just to do with Israel, are screwing up this country, and our society. Let’s hear your views on this Phil. errrr , another final solution?! I think you read the Daily (hate)Mail too much. and that’s where you stop. Is it because what you ‘wanted’ to say involves the killing of individuals who you think are ‘different’ because of their colour? Or religion? Go ahead and say it, we know you want to. Just say it. But remember, you’ll get locked up for it – and rightly so! We don’t need a final solution. We need to pay them to leave and expel the remainder. You forget the fact that Israel is surrounded by hostile barbaric Arabs who send their own children on suicide missions and then celebrate. Israel will do what it must to survive. Then it won’t survive, and who wants that? Israel has never used terrorism as a weapon…..has it? No, the Irgun only engaged in reprisal to prevent the use of terrorism on Jewish civilians. So I guess you could argue that they were terrorists but only to maintain deterrence. The Arabs tried to use terrorism as a strategy. Other than The King David which others did the Irgun bomb? You constantly ask others for facts, how about some from you? The British received warnings so that they could evacuate the building and save innocent lives, but the British ignored those warnings. So, exactly how many other hotels did the Irgun bomb? I believe that the poster’s original point was that the attack on the Kind David hotel was a terrorist act. Good on you, Bio, for extracting an admission (though twisted) from the troll that he was lying about the Irgun bombing more than one hotel. It’s dirty work but somebody has to do it. Although I do wish Hadar would block this idiot’s attempts to derail and discredit this blog. I’m not into censorship but I tend to agree that dishonest and continual spam needs to be trashed. That last post ( February 15, 2014 @ 7:30 pm) was not made by me. The pest has now taken to impersonate others. The fact is Hadar Sela is a woman. When are you going to give us the source of your allegation that the Irgun bombed more than one hotel? When will you reply to my comment here? I suppose that when Arabs target Israeli buses, pizzerias and the like IN ISRAEL, deliberately targeting civilians, or slitting the throats of Jewish toddlers while they sleep in their cots, or attacking an elderly Holocaust survivor while he’s reading a book on a park bench FROM BEHIND, I suppose you consider all of those kinds of actions to be legitimate “resistance”, not terrorism? Thus the BBC joins the pack baying for the weakening and ultimate destruction of Israel, disguised as a genuine concern for peace and stability in the region. When you look at that alleged concern, here’s what you find: In 2005, Israel withdrew from every last square inch of Gaza, forcibly evicting those settlers who would not leave voluntarily. After a day or two of crazed celebrations, the Palestinians continued their interrupted rocket fire from Gaza on nearby Israeli communities. The BBC and like-minded media failed utterly to report accurately on those events. Had they done so, they would have been forced to acknowledge that the desired Land for Peace was not the outcome of Israel’s disengagement from Gaza. Now the baying pack, having disdainfully ignored the lesson of Gaza, insists that Israel withdrew from all territory held beyond the Green Line. In other words, the pack looks forward to a repeat in the so-called West Bank of attacks on Israel from Gaza. UNSC Resolution 242 of 1967 reaffirmed the position that acquisition of territory through war is inadmissible. But Israel did not set out to acquire territory in June ’67 but to defend itself against the stated aim of the Arabs to annihilate the Jewish state, which was made clear by decades of terrorist attacks on Israel, Nasser’s closure of the Straits of Tiran, eviction of UN peacekeepers from the Sinai and Syria’s attacks on Israeli villages from the Golan Heights. After that lightning war, Israel held territory as a buffer against future attacks. To claim, as the bloodthirsty pack does, that Israel has no right to hold these territories is to acquiesce in the weakening and eventual destruction of the Jewish state. Sites like this one exist to present the Israeli side of the wildly-distorted picture and to hold the BBC to account for its implacably false and biased reporting on the Israeli-Arab conflict. And these sites do a fine job. That last post was not made by me. Impersonating others is the last resort of an internet pest. Surely you’re having a laugh? I’m still waiting for you to give sources for your accusation that the Irgun bombed more than one hotel. Where is your source that the Irgun bombed more than one hotel? What makes me an “extremist””? Excellent article elaborating on this theme by Michael Curtis at the Commentator.